Data and Analysis Report interfiled with Goals, Objectives, Policies. ~~ U s e ,,.*,.. "Preparation of this document was aided through financial assistance received from the State of Florida under the Local Government Comprehensive Planning Assistance Program authorized by Chapter 87-98, Laws of Florida and administered by the Florida Department of Community Affairs." The Future Land Use Element is perhaps the most importatnt element of the Comprehensive Plan, because the Future Land Use Element dictates how the city will develop and redevelop of over time. The Future Land Use Data and Analysis Report lays the foundation for determining the future land use plan of the City. Because much of the City of Gainesville is already developed, existing land use information is important in recognizing the future potential for development and redevelopment. The existing land use data offers assistance in planning for compatiblee uses in an organized fashion. The purpose of the analysis section of this Report is to determine the amount of land needed by land use category to accommodate the projected population. Another is to determine the development and redevelopment possibilities of land within the City. The plan will make these determinations based on the availability of traffic circulation, sanitary sewer, solid waste, drainage, and potable water facilities to serve existing, vacant and developed land, and the natural conditions that may affect land development. Population projections are the main consideration for determining future land use needs. The following section list some of the major finding identified in the Future Land Use Data and Analysis Report. * The City is 83% built out. * The annual growth rate within the city limits of Gainesville is less than I %. The data section of this report lays the foundation for determining the future land use plan for the City. Because much of the City is already developed, existing land use information is important in recognizing the future potential for development and redevelopment. The existing land use data offers assistance in planning for compatible uses in an organized fashion. This report also serves to fulfill the requirements of Chapter 163 F.S. and Rule 9J-5.006, F.A.C. The existing uses of land in the City of Gainesville are depicted on Map 1 (a 1= =1000' scale map: Appendix A). Map 1 also indicates the uses in the unincorporated area immediately surrounding city limits. Map I was largely based on a consolidation of the City's current zoning categories. (See Appendix B for a complete listing of how zoning categories were combined and an explanation of those categories.) Department of Revenue (DOR) codes, aerial photographs, and windshield surveys supplemented the zoning categories for determining uses. Land area in the "Unimproved land' category was determined by selecting parcels from the property appraiser's tax base which had a building value of zero. These parcels, which can include common areas, parking lots, and cemeteries, were checked against DOR codes and aerial photographs. Only land which is truly vacant was then used in the refined "Unimproved land" category. Due to restrictions of map scale, only unimproved properties or groups of properties totaling three acres or more are shown on the map. It should be noted that the totals in the acreage table (Table 1) do include all "Unimproved land" regardless of acreage size. Uses in the unincorporated area surrounding the municipal boundaries were derived from DOR codes. Further refinements were based on comments from Alachua County Planning Staff and aerial photographs. In addition to the categories required under 9J-5.006, F.A.C. the City of Gainesville's existing uses of land map includes categories for Office and Mixed Use. "Public buildings and grounds" and "Other public facilities" were combined into the category "Public Service" as indicated on Map 1. Natural resources are shown on Maps 2-5. It should be noted that a beaches and shores map is not applicable because of Gainesville's inland location. City of Gainesville and its immediate urbanized fringe. No "cones of influence" have been designated by the St. John's River Water Management District or other local agencies having qualified professional hydrologists for the Murphree weilfield. In the absence of such information, Map 2 includes an overlay of those parts of the Murphree Wellfield Management Zones which fall within urban area boundaries. These concentric zones were designated in conjunction with the county's adoption of a wellfield management code in 1988. Until better data become available, the management zones are a reasonable substitute for a "cone of influence" around the municipal weilfield. The Tacachale Community of Excellence has three wellfield. Map 2 illustrates capture zones for the wellfields based on two and five year travel times. These capture zones were delineated by using the GPTRAC module of EPA's WellfieldProtection Area Model prepared by the St. John's Water Management District. The Primary Management Zone that surrounds the Murphree Water Treatment Plant extends approximately one-half mile from the Murphree Wellfield property boundaries. The primary zone for the Tacachale wellfields extends from 200 300 feet from each well. In the primary zone, new land uses which involves storage, use or manufacture of hazardous materials are not allowed. Transportation of hazardous materials is limited to local traffic serving facilties within the zone. Well construction is subject to special restrictions, and new sanitary landfills, countyregulated filling activities, new domestic and industrial wastewater treatment facilities and new septic tank wastewater treatement systems (with possible exceptions) are prohibited. Variance approval is required for the temporary storage of harazardous materials in containers or tanks beyond a certain volume for use in normal agricultural or forestry practices and construction activities. The Secondary Management Zone that surrounds the primary zone extends approximately one mile from the Murphree Wellfield property boundaries. The secondary zone for the Tacachale wellfields extends from 400 600 feet from each well. In the secondary zone, new land uses which involves the storage of hazardous materials is not allowed except for vehicular fuels storage subject to other county or state regulatory controls. 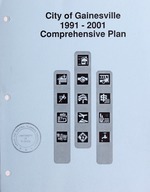 Existing facilities in this category must meet new facility requirements by January 1, 1993. Secondary containment for all new hazardous materials storage systems is required. Aboveground storage of petroleum products and other hazardous materials is subject to specific volume limitations and all existing aboveground facilities must comply with the full provisions of the code before January 1, 1998. Well construction is restricted and new saintary landfills and county-regulated filling activities are prohibited. Prepackaged consumer product materials are subject to new facility storage volume limits. Variance approval is required for the temporary storage of hazardous materials in containers or tanks beyond a certain volume for use in normal agricultural or forestry practices and construction activities. J .. .th t 10t AVE. Ave Seondary the 1990's. 8h I AV.E. .e .a J1 "Community Water System"
S.W. V v cone of depression. The Tertiary Management Zone is a rough square surrounding the secondary zone which is defined by township, range and section locations. It extends approximately two to four miles from the Murphree Weilfield property boundaries (approximately two miles within the urban area). Construction, modification and closure of wells are subject to special requirements in this zone. The discharge of hazardous materials regulated by the county's weilfield management code to the soils, groundwater or surface water is prohibited within the primary, secondary and tertiary management zones. The management code includes reporting and other requirements for any such discharges. Map 3 depicts creeks, lakes, and wetland areas in Gainesville. Wetlands are included on this map to indicate their relationship to the creek lines. Map 4 and the Master Flood Control Maps (1990) on file in the Public Works Department shows the 100-year floodplain areas for Gainesville. The following minerals are commonly found and have been mined in the Gainesville urban area: limestone, sand, and phosphate. Because these resources are so widely available it is unlikely they will be extensively excavated within the city limits, due to existing levels of urban development. Map 5 indicates soils for this area. Soil types were classified into two categories (Moderate-Severe Problems and Erosion Problems) based on their impact on development. Information about these categories and the soils included within them is provided below. The Moderate-Severe Development Problem areas on Map 5 refers to soil classifications from the Alachua County Soil Survey prepared by the USDA Soil Conservation Service (SCS). SCS analyzed shrink-swell potential as a hazard to building foundations and roadways; corrosivity problems of steel piping and concrete base forms; and flooding potential or cave-in hazards for shallow excavations. Dwellings with or without basements and small commercial buildings were included in the analysis of foundation problems. The SCS soil types with moderate-severe ratings for such problems are as follows. .nd v, AV _A r "
Erosion Problem areas on Map 5 refers to soil types where loss of vegetative cover on slopes of 2-8% would lead to topsoil loss via wind or rainfall. Those types are as follows. Table 1 contains acreage totals for each of the land uses shown on Map 1. Residential uses were categorized according to density. Density was determined by the number of units per acre. Low density residential uses include single-family and low density multi-family dwelling units. The high density residential category is characterized by uses such as high density multi-family and mobile homes. The non-residential use categories of Office, Commercial, and Industrial are designated as low, medium, and high in intensity of use respectively. These rankings are based on the types of uses permitted in each category as well as factors such as associated trip generating characteristics and parking requirements for uses within the categories. The Office category permits almost no retail activity and includes uses such as professional offices and banking/financial services. Uses in the Commercial category are primarily characterized by retail activity of varying scales. The least intense commercial uses in this category are neighborhood stores and repair services. The highest level of intensity is found in shopping center uses in activity centers. The most intense level of use is found in the Industrial category which includes manufacturing, wholesaling, warehousing and outdoor storage uses. Population projections for the City of Gainesville are shown in Table 2. High, medium, and low forecasts are given. Based upon current knowledge and trends, the medium level projections are seen as the most likely scenario for Gainesville's future population size. 1 Low projections are based on fitting a geometric curve to annual population counts to obtain a constant growth rate. 2 Medium projections are an average of the low and high projections. 3 High projections are based on fitting a Gompertz curve to the city/county ratio and using the resulting projected ratios with BEBR medium projections for Alachua County population. One purpose of this element is to determine the development and redevelopment possibilities of land within the City of Gainesville. Another is to determine the amount of land needed by land use category to accommodate the projected population. The plan will make these determinations based on the availability of traffic circulation, sanitary sewer, solid waste, drainage, and potable water facilities to serve existing vacant and developed land, and the natural conditions that may affect land development. Population projections are the main consideration for determining future land use needs. Table 2 shows population estimates for the two planning periods: 1991to 1996, and 1996 to 2001. The medium level projections forecast an average annual growth rate of .96% from 1990 to 2005. The Traffic Circulation Element addresses the level of service (LOS) standards of the state highway system roadways and additional collector and arterial roads that serve the Gainesville urbanized area. Most of these roadways that fall within the City operate at acceptable levels of service (see Map 6). However, several key segments are not operating at acceptable levels of service (see Table 3). The most concentrated deficiencies are occurring in the vicinity of University Avenue and West 13th Street (US 441). Table 3 projects additional deficiencies in the downtown core. Generalized Daily Level of Service Maximum Values, 1989. City, EDOT, Alachua County and property owners to make land use and design decisions which maximize the use of existing roadway facilities. LOS standards will be adopted for specific roadways within the STA. Development regulations will be used to limit the number of driveway cuts, improve internal circulation and limitations on uses which are vehicle intensive, such as drive-thrus. Improved facility design may require the use of traffic analysis studies for specific projects. Land uses appropriate to the area should not aggravate peak-hour operating conditions and should provide a mix of residential and nonresidential uses which can accommodate the housing and retail/service needs of the residents within the STA and surrounding residential neighborhoods. The designation of the STA is a land use and traffic circulation policy decision which will take shape over the life of the Comprehensive Plan. No single land use designation or regulation will bring about the interactive activity center which is envisioned in this designation. Concurrency requirements for traffic circulation will require the City to deny projects that would degrade any State roadway below adopted LOS. Map 7 indicates those vacant lands (3 acres or larger) which are within approximately a quarter mile of deficient roadways. Figure 1 provides more detail for each of these areas. Site A is approximately 22.22 acres. The designated land uses on the site are Residential (low density), (R(ld)) and Open Space (OS). The OS portions of the site, which roughly correspond to floodplain areas, are unlikely to be developed. Not all of the site fronts on NW 13th Street (LOS = E). Development east of the OS designation would have the greatest likelihood of directly impacting the traffic circulation LOS. Site B, which falls within the STA, contains approximately 3.8 acres. Part of this site is designated for Office use and the remainder for Commercial use. The portion of the site designated for Commercial use fronts on NW 13th Street (LOS = E). However, the Commercial parcel also has access from NW 7th Avenue. Special analyses would be necessary to determine whether development on this portion would further deteriorate the LOS on NW 13th Street. The portion of the site designated for Office use fronts on NW 8th Avenue (LOS = F). This portion of the site also has access from NW 12th Street. Most of the Office designated portion of this site is within the floodplain area which limits development potential. Again, specific analyses would be required to determine whether development would degrade LOS on NW 8th Avenue. Site C is a large site containing 5 parcels with a total of approximately 64.88 acres. Two parcels containing approximately 12.73 acres have potential access onto NW 34th Street (LOS = F). The land use designations on this site are R(ld) and OS. Major development on this site is unlikely because it is almost completely in the floodplain. The Traffic Circulation Element provides an in-depth analysis of the effects of land development on traffic facilities. W_7 t-__&_VA N U _.
. .. ..... .......... .
expansion due in 1991 to 40 mgd. At 34 mgd the Plant can support the existing land uses. The planned expansion will to accommodate the anticipated redevelopment and development of the urban area beyond the 2001 planning horizon of the city's comprehensive plan. Map 8 shows the location of the Tacachale Community potable water system. The Tacachale system has three wells with a combined pumping rate of .303 mgd. The Alachua County Public Health Unit personnel evaluate water quality periodically. The existing water facility is sufficient .to support the Tacachale community. There are no plans for expansion of the system according to the water plant operators. The Future Land Use Plan must protect the water supply of this community. GRU and the Gainesville Fire Department are currently studying low flow fire hydrants. The Future Land Use Element should incorporate the results of this study when they become available (Source: GRU W/WW Facilities Planning 1989). The problems associated with site-specific water facilities are correctable and should not create many problems or have a signifcant impact on development and redevelopment. New development in affected areas may be required to make the necessary improvements to mitigate the above noted problems. Corrections to the water system must be prioritized according to goals of the comprehensive plan to avoid conflicts where the City wants to encourage development or redevelopment. *Already scheduled for improvements prior to 1996 in Gainesville Regional Utilities Master Plan. A region of higher elevations underlain by at least 10 feet of clays or clayey sands which form an aquiclude to the Floridan Aquifer System. D Semiconfined Zone* Primarily confined with numerous sinkholes allowing hydrologic access to the Floridan Aquifer System. of high recharge to the Floridan and especially vulnerable to contamination, because an overlying confining layer is lacking. In order to protect the community's water supply, the Murphree Wellfield must be protected. Since St. John's River Water Management District (or other local agencies responsible for the management of the aquifer) has not designated a "cone of influence" for the Murphree Welifield, Alachua County has adopted a Murphree Wellfield Management Code. The code established three concentric zones around the welfield: Primary, Secondary and, Tertiary zones (see Map 2). The primary zone has a radius of one-half mile extending from the Well Field. This zone prohibits new uses of land involving storage, transfer, use or manufacture of hazardous materials. Transportation of hazardous materials is restricted to local traffic serving facilities within the primary zone. The secondary zone has a one-mile radius. This zone prohibits new underground storage of hazardous materials except for motor fuels and requires that existing facilities meet the requirements for new facilities by 1993. The tertiary zone has a radius of 2 2.5 miles and would limit well construction. Map 2 shows the location of the Wellfield Management zones. An overlay of this map and the existing land use map indicate there are a number of industrial sites located within the secondary and tertiary zone. In order to protect the community's water supply the Future Land Use Plan must prevent land uses incompatible with Wellfield Management Code restrictions. Application of environmental performance standards (discussed in the CONS. Data and Analysis Report 1991)) should be applied to this area. The Gainesville urban area is served by two sewage treatment plants: Kanapaha and Main Street Plants owned and operated by the City of Gainesville. The Kanapaha and the Main Street plant have design capacities of 10 million gallons per day (mgd) and 7.5 mgd of wastewater respectively (W/WW Data and Analysis Report 1991). In 1988 the average daily demand at the Kanapaha Plant was 7.86 mgd and 4.5 mgd at the Main Street Plant. These plants currently have a service area (See Map 11) population of 119,814 persons. The University of Florida operates it own sewage treatment plant which has a design capacity of 3.1 mgd and an average daily demand of 1.805 mgd. The current peak and committed flow is 15.95 mgd with a surplus based on peak flow of 1.55 mgd. Based on peak flow calculations, the existing sanitary sewer facilities have the capacity to serve approximately 6000 additional residential units A planned 2.0 mgd expansion of the Kanapha Plant to increase design capacity to 12 mgd will adequately serve future city and urban area residents. The only problem that currently exists is that the Main Street Plant has on occasion exceeded pollution standards for effluents being released into the Sweetwater Branch creek system. This problem will be corrected by improvements which are under construction and scheduled to be completed in 1992. The City can be divided into seven watershed basins, related to the creek system. Two of these basins flow ultimately into the St. John's River system. The remaining basins are stream-to-sink which discharge to an underground aquifer or depression basins. Virtually all of Gainesville is served by some form of drainage system. The replacement of aging and inadequate systems is a greater concern than the construction of new facilities. New development has provided stormwater facilities for water quantity since the mid1970's and water quality since the early 1980's. Recent flood studies have indicated that the soil information used to design stormwater management facilities in past years was inaccurate, resulting in higher floodzone elevations than expected. In 1990 the City adopted updated flood elevation maps and development regulations. Basin-wide studies are needed to address the existing deficiencies within each drainage basin. Preliminary studies, on file in the Public Works Department, have indentified over 100 existing stormwater deficiencies. These deficiencies range from the need for major culvert repair to non-existent roadway drainage facilities in older neighborhoods. Minor flooding is experienced along Hogtown Creek and it's tributaries during storm events approaching the severity of the 10-year storm. Level of service (LOS) standard deficiencies are not expected to limit development because regulations will require new development to meet the adopted LOS standards. The Stormwater Management Utility will prioritize and budget improvements necessary to remedy existing deficiencies. Alachua County provides solid waste facilities for the City of Gainesville at the Southwest Landfill. This landfill is a Class I disposal site and must be covered once a day. The Southwest Landfill is expected to reach capacity in 1998. An Alachua County task force is currently in the process of selecting a new landfill site. A privately owned landfill located in the Southeast Gainesville urban area serves a variety of development oriented businesses by providing for the disposal of construction materials. This is a Class III disposal site requiring waste material to be covered once a week. Currently, Browning-Ferris Industries (BFI), provides the entire City with solid waste collection services on a contract basis. In addition to solid waste collection, the City has adopted a citywide waste recycling program. BFI administers the program which collects cans, glass, plastic bottles, and newspapers. The city's recycling program also includes the separation of yard waste and white goods for disposal. The city's goal is to reduce its solid waste stream into the landfill by 30%. Large quantity generators (LQGs) and small quantity generators (SQGs) produce approximately 16.5 million pounds of hazardous wastes annually in Alachua County (Alachua County: "Hazardous Waste Management Assessment," 1987). Most generators and waste volumes are located in the Gainesville urban area. Currently, there are no commercial hazardous waste management facilities exist in Alachua County to treat, store, or transfer hazardous waste produced by SQGs and households. Without a convenient means of proper disposal, re-use, or recycling, SQGs and individuals will continue to dispose of relatively large quantities of hazardous wastes inappropriately and thereby threaten public health and safety. when development proposals which involve known hazardous contamination sites are submitted. An analysis of unimproved land and natural and man-made features that may place constraints on development is discussed below. This analysis compares the location of vacant and undeveloped land to soil conditions, floodplains, wetland areas, creeks, wellfield management zone, groundwater recharge areas and areas with manmade pollution problems. For this discussion the City is divided into seven water basins: Little Hatchet Creek, Lake Forest, Calf Pond, Sweetwater, Tumblin Creek, Lake Alice and Hogtown Creek. Appendix C presents a graphic presentation of this analysis by each water basin. Nearly all of the undeveloped land located within this basin is affected by natural or manmade features that may affect land development. The two main affected areas consist of the Airport Industrial Park and a large vacant tract of land adjacent to N.E. 39th Avenue designated for residential use (see Appendix C: Map Series A). Analyses of these areas indicate that the Airport Industrial park is affected by soils with "severe" development constraints and wetland problems; is located within the Wellfield Management Zones; and is the home of man-made pollution sources. Restrictions in the Murphree Wellfield Management Code may limit development of this area. Vacant land in the vicinity of the Airport Industrial Park is suitable for agricultural and industrial development insofar as the development can comply with wellfield protection and stormwater management regulations. Vacant land adjacent to N.E. 39th Avenue is affected soils with "severe" development constraints, wetlands, floodplains, and the wellfield management zone. The wetlands and floodplains are significant constraints to the development of this property. These constraints should limit the useof this property to low density residential or open space. Vacant land located within the city limits in this basin has very few limitations to development, however soils with "severe" development constraints prevail. Such soil conditions require special design features and raise the cost of development. A small portion of available land is within the 100-year floodplain (see Appendix C: Map Series B). Undeveloped land in this area could support residential and some commercial development. No man-made sources of pollution have been identified in this area. Map Series C (Appendix C) indicates that most of the vacant land parcels in these basins are affected by surface water wetlands, 100-year floodplains and creeks. Soils with "severe" development constraints appear to coincide with unimproved lands. Such conditions require special design features and raise the cost of development. Due to the creek system, development of industrial property in the South Main street area may be limited. None of the undeveloped land within this basin is affected by poor soil conditions. The only significant parcel of undeveloped land (Southwest Williston Road near Bivens Arm) is located in a potential high aquifer recharge area, (Appendix C: Map Series D) and affected by a wetland and the 100-year floodplain. Based on the environmental conditions in this area, the development of this site should be limited to low intensity uses. There are no man-made pollution sources that will prevent or limited the development potential of undeveloped lands in this basin. -2000 Comprehensive Plan designates nearly all of the vacant land affected by natural environmental conditions as residential or conservation/ park land. This basin also contains a significant man-made pollution source (Cabot Carbon/Koppers) that affects soil, water and air conditions. The analysis of vacant land indicates that the development potential of unimproved land in the city is limited due to constraints of soil type (see Map 12), flood plain, and wetlands. Land development regulations dealing with stormwater, creek and floodplain protection will be used to determine development potential on a site by site basis. The implementation of an environmental performance overlay district will further control development. This analysis also indicates there is an acute lack of unimproved land suitable for higher density development. This is an indication that redevelopment of underdeveloped areas for higher density development will have to be a major focus of the Future Land Use Plan, in order to preserve the fragile environment. The topography of Gainesville does not limit the development potential of most of the city. One main consideration is the slope of the City. Four slope categories have been identified within the city limits: 0- 1%, 0-5%, 6-12% and 12+%. The least sensitive of the categories is the 0-5% category. The most sensitive are the 0- 1% and 12+% categories. They are considered to be equivalent because they each have inherent drainage problems. Most of Gainesville is the within the 0-5% slope range. The most difficult areas for development are those located adjacent to creeks. The development of Gainesville is limited by several natural low lying systems: Gum Root Swamp in the northeast; Newnans Lake to the east; and Paynes Prairie to the southwest of the city. The Gainesville urban area contains the following minerals (natural resources): Limestone, Sand and Phosphate. Map 13 shows the location of sites where these resources have been commercially excava tedwithin the city. Currently there is no existing commercial extraction of minerals within city limits. Future extraction of minerals in the city is unlikely (COS Data and Analysis Report 199 1). The City of Gainesville possesses many valuable architectural (historic) resources that are being preserved through the efforts of the City and the Historic Preservation Board. At the present time the City has four National Register historic districts (See the Historic Preservation Element), including three Gainesville neighborhoods and portions of the University of Florida campus. There are also 24 structures listed individually on the National Register of Historic Places, including 10 on the UF campus. The City's historical resources are contained on approximately 443 acres. The Northeast, SoutheastPleasant Street and UF Campus districts contain 166, 111, 77, and 70 acres respectively. Individually listed properties contain approximately 19 acres. Due to the importance of the city's historical resources, the Future Land Use Plan will protect the city's historic resources. The analysis of the amount of land needed to accommodate the projected population utilizes a regional land use allocation and simulation model. The model uses projected population, housing, employment, income and other data to forecast land use needs by market areas (see Map 14). Table 1 shows the categories of existing land uses and their densities or intensities of use. This table shows that 83% of the land in the city is developed, not necessarily to the extent existing structures are vacant. The most prominent land uses are residential and public service. Table 4 shows the average densities and intensities of major land use categories for each market area. Average gross densities and intensities over entire market areas do not provide a true picture of what is developed or what the densities and intensities of use are in a specific area. Net densities and intensities of use are much higher. Additional analysis of the density and intensity is provided in the following Land Use Needs section. Land requirements for the city are divided into four major land use categories: Residential, Office, Commercial, and Industrial. Source: Gainesville Urban Area Land Use Study 1989 (Market areas 2 and 8 are located outside of the city). 1 DUPA = Dwelling units per acre. 'Me City is obligated to assign land use designations to all property within its jurisdiction. 'Mere is no requirement that all property must be developed within the planning time fi-ame. Given its slow rate of growth, it is not anticipated that the City will reach build-out before 2001. Thus, there will remain some vacant land designated for residential use at the end of the planning time frame. Tables 5 through 9 compare the additional acres of urban land needed to support the projected city population with the vacant land available and zoned for each land use. The tables indicate that there is considerably more vacant land zoned for residential, commercial and industrial purposes in the city than will be required over the planning period. Table 5 indicates the city currently has 1837.97 acres of vacant land designated for residential purposes and a total of 7,783.96 acres developed for a total gross acreage figure of 9621.93 acre. Based on the Gainesville Urban Area Land Use Study the City needs 850.60 (see Housing Element page 28) acres within the planning time frame which will leave 987.37 acres of currently designated residential land vacant. Of this 987.37 acres 171.91 is designated agriculture (1 unit per acre). Approximately 50% of the vacant property will have limited development potential due to environmental features that must be protected, such as creeks, lakes, wetland and upland areas(over 1050 acres). Based on these conditions the city will have approximately 408 gross residential acres (which translates into 384 net acres using a 20% reduction for infrastructure improvement) over what is needed to support the projected population. An analysis of environmentally significant lands and resources and Map I indicate that most of the vacant land in the city has remained undeveloped due to site conditions that make land outside the city more viable. The apparent surplus of 408 acres will serve to keep land cost down and make opportunities for affordable housing available. Most recent development has skip over the City for cheaper land in the County as demonstrated due to the amount of urban development in rural area's outside the City. Since the City is compact and nearly build-out, development on almost any vacant land will be of an in-fill nature. However, in order to discourage urban sprawl type of development where it is possible and to keep land costs down for housing, the City will allow higher density in areas of the City that has always accommodated higher densities and intensities of use. Table 4 shows the average gross density in Market Areas range from 2.52 to 14 units per acre. The average gross density over the entire market areas does not provide a true picture of what is developed or what the densities are in specific areas. The methodology for categorizing land uses in appendix B shows existing residential zoning densities range from less than one unit per acre to 43 units per acre. The city also allows planned developments that may have higher densities. In the downtown, residential densities have been unlimited with performance standards being used to mitigate any negative impact on adjacent properties. An analysis of the residential areas within 1/4 mile of the University indicated that there are actual densities of up to 123 units per acre. These areas also include a Holiday Inn that serves the University, large fraternity and sorority houses, a major hospital (AGH) and many smaller rental units that may be accommodating more people than they where designed for. These areas do not function as a single family area and has not been designated for single family for several years. Map 15 identifies the area where higher densities will be needed for students and facility. The students and faculty at the University of Florida play a major role in the future development of the City of Gainesville. 'Me number, of faculty employed and students that attend the University each year, have an impact on the city's housing market and traffic circulation network. It has long been the concern of city policy makers that the residential area surrounding the University does not adequately serve the housing needs of the university related population. It is also especially desirable to accommodate as many employees and students into housing close to the University. Due to low densities and high land cost near the university and downtown, apartment complexes have developed in the urban area outside of the city in an urban sprawl fashion, creating traffic problems, demands for additional services such as mass transit, police and fire protection. 'Me State Comprehensive Plan has several goals and objectives that dictate that the City of Gainesville should do whatever is needed to encourage higher density within urban areas. Higher densities in those areas that can be redeveloped, will discourage urban sprawl, and promote compact and infill development. Ile increase in the number of people living close to the University that are associated with the University (Faculty and Students) will reduce the peak hour transportation demand on the tr-affic circulation network. A larger residential population close to the University will also be a prime catalyst in revitalizing the downtown. Another issue is that the turnover of students in university housing each year indicated that higher densities can be support within walking distance of the University. While the enrollment of undergraduate students have been capped, 4500 freshmen and 2000 college transfers are admitted to the university each year, most of whom the University tries to house on campus. This means that approximately 6500 students who lived on campus the year before are looking for housing. A large number of student want to live close to the university. This can be determined based on the waiting list of students for university housing. The City could accommodate new students or the students that would have to move out of University housing to accommodate the new students near the university, (Students living on campus are currently included in the City Population) with higher densities. The Growth management theme for Florida and the Department of Community Affairs Functional Plan is to "grow smarter". Growing smarter means that urban area with adequate infrastructure should be commercial, office, service and industrial centers instead of rural areas without the proper infrastructure to support development. Table 1 shows that there are 969.43 acres currently developed as commercial and office use. Table 6 includes all the vacant acreage currently designated for commercial and office uses indicates that there are 260. 10 acres currently vacant There is, a total of 1229.53 acres of land specifically designated on the Future Land Use Map. Table 1 also shows that there are 127.84 acres designated for mixed use. The current Mixed Use land use category is designated downtown Gainesville and a small area in the Fifth Avenue neighborhood that serves as neighborhood commercial for that neighborhood. In total the City currently designates 1357.37 acres of land that can be converted to some type of non-residential use. Of the 260. 10 vacant acres only an additional 15 acres will be needed to support the projected population. Most of 260. 10 acres are smaller parcels that will represent mnfll development. Table 6 shows that Market Area 5 has a surplus of 108.02 acres. An analysis of Market Area 5 indicates that most of this acreage is locate near a superfund site or is part of the Airport which indicate this land is unlikely to be use to meet the commercial needs of the Gainesville Service Area. The City of Gainesville is 83% built out, and population growth is less than I.% a year, the Gainesville commercial/office market serves most of North Central Florida. The Gainesville Urban area has four major hospital and the University of Florida that draw people living outside the area into the area for medical attention and employment, which translate into a market demand for more goods and services. As a regional commercial and service center, Gainesville provides urban services that rural communities do not and can not provide. In order for Gainesville to continue to play its important role in the region of providing urban commercial and office services for rural communities, the City must provide land use strategies that meet this need. Based on its regional significance the City may need the flexibility to develop additional nonresidential acreage. could possibly be used for a commercial or office in the most extreme development pattern. To ensure the provision of residential uses in the mixed use categories, the city will work to include standards in the land development regulations. The regulations may include acreage thresholds for when development must include residential development. During the time the City will develop regulations a moritoriurn on rezoning will be in effect in the mixed use areas. Considering that 1357.37 acres are currently designated for this type of non-residential use, the net increase is only 352.11 acres. This acreage will be needed for the region to maintain a separation of urban and rural densities. Permitted commercial intensity ranges from a FAR of .50 to an FAR of 5.00 in commercial and office areas. The intensity of use in the downtown has been controlled by performance standard, it appears that the highest intensity could be as high as a FAR of 10.00 for nonresidential uses. Table I indicates that there are currently 522.73 acres of land developed as industrial use. Table 6 shown that there are currently 333.40 acres of vacant industrial land. Thus, the total amount of currently designated industrial land is 856.13 acres. Table 6 indicates that the City only needs 32.71 acres of the 333.40 acres to accommodate its projected population. Areas designated for industrial use are located in areas close to downtown and near the airport on the east side of the City where these uses can be supported by the existing infrastructure. As stated earlier, Gainesville is the regional business center of North Central Florida. In order for Industry to locate or get started (homegrown industry) urban services and infrastructure will be needed which the rural community may not be able to provide. For Gainesville or any other urban community to provide industrial land for the projected population within its city limits or urban boundary would encourage urban sprawl into rural areas. The Growth management theme for Florida is to "grow smarter". Growing smarter means that the urban area with adequate infrastructure should be industrial centers instead of rural areas without the proper infrastructure to support development. Based on the role that urban communities must play in the "growing smarter" theme Gainesville must provide enough land in proper location to support this state goal. Table 10 in the Future Land Use Section indicates that 968.27 acres of land will be designated for future purposes. Vacant Industrial Land 333.40 ac. An analysis of the location of the 421.83 acres indicates that this land can only be used for industrial purposes. Since the land is located in developed industrial parks. All industrial uses are considered high intensity uses that must be buffered from residential uses. A School Plant Survey conducted in February of 1989 indicated that 5 new school sites will be needed to alleviate school overcrowding and to accommodate projected school population. Based on this survey three elementary and two middle schools will be needed within the Planning period. The survey indicated that those five sites are needed outside of City Limits, therefore no additional land will be needed for educational purposes within the city. Table I indicates that there are 1,194.49 acres of land currently designated for educational use, while Tablel.0 (Future Land Use Acreage) indicates that the City has allocated 1485.26 acres of land for education. The 290.77 acreage difference represents a reclassification of land designated recreation to education. This acreage consist of school playgrounds and recreational facilities that have limited public access (See Recreation Element for more details). Enrollment figures for the University of Florida indicate that no additional land will be needed for the University during the time frame of this plan. Based on level of service standards from the Recreation Element the City will need 41 acres of active recreation land (neighborhood park) by 2001. Table 1 indicates that the city currently has 669.54 acres of land designated for recreation. This amount is reduced by 290.77 acres to 378.77 acres with the reduction of educational facilities (see above). Table 10 indicates that the Future Land Use Plan will allocate 354.11 acres for recreation. The difference between the existing and the future is 24.66 acres in addition to the 41 acres for a total of 65.44 acres. Most if not all of the 24.66 acres are contained in the conservation land use, of which Ring Park consists of 20 acres. The Future Land Use Map will show the generalized location of where the 41 acres is needed to meet the City's recreational needs. Based on the levels of service standards in the recreation element, the City will need 120 additional acres of local nature park that will be designated Conservation on the Future Land Use Map. The total projected need based on population is 1245.94 acres. Table I indicates that there are currently 1108.86 acres of land designated for conservation. Table 10 indicates that the Future Land Use Plan designates 1125.94 acres for conservation for an addition of 17.08 acres. The location of conservation areas is designated on the Future Land Use Map. Population projection is the minimum criteria used to project conservation land use needs, the preservation of environmentally significant resources and the protection of public safety, health and welfare will dictate that the City purchase or designate more land for conservation purposes than is needed to accommodate projected population. The Conservation Element has policies that will ensure that the City will meet this need before the end of the planning period. Based on the projected population and the lack of need to expand capital facilities there is no need for additional for additional land for capital facilities. Table I indicates that there are 3822.41 acres of land designated Public Service which is the same as Public Facilities. Table 10 indicates that the Future Land Use Map designated 4064.07 acres for Public Facilities. The addition 245.63 acres is vacant land that is included in the Unimproved Land category in Table 1, some of which provides a buffer around the Airport. Source: Gainesville Urban Area Land Use Study 1989 lNote: Commercial also includes office uses. An analysis of the existing land use plan indicates that the city has enough land (in the proper land use category) to meet the needs of the projected population. In fact, there may be a surplus in most of the land use categories. There are several factors that must be considered before the final determination can be made. The final assessment must subtract out wetlands and other sensitive areas from undeveloped lands, and land requirements for infrastructure needs should also be subtracted. The location of existing commercial and industrial property, the share of the Gainesville urban area market the city hopes to capture within the city limits, and the fact that in order to maintain a flexible market more land than needed, must also be available. Ile Gainesville Urban Area Land Use Model was employed to determine land use requirements. The focus of this model was on market demand as well as existing and projected relationships between demand and developed space. The model allocates future land use and development into each of nine market areas (see Map 14) according to: anticipated population growth, income, employment, regional demographic and economic shifts; the performance of existing space; and current and projected development densities by land use type and area. Figure 2 depicts the general components of the model. The first component involved the relevant demographic and economic data. This data included projected population, households, income and employment for each of the nine market areas comprising the Gainesville Urban Area. The second component includes measures of market demand in each development category. For example, retail demandwas measured by the estimated and projected sales potential in the urban area and within the nine market areas. The projections of market demand were used to estimate market growth and share for each area in the third model component. The demand data was compared to existing development to determine the absorption of additional space and units in each land use. Finally, the market-driven estimate of demand and absorption was translated into land use requirements through assumptions concerning development density by location. For residential land use, density was measured by dwelling units per acre (DUPA). For commercial and industrial land use, density was measured by a floor area ratio (FAR) calculated for each land use and area. The FAR is the ratio between building space and land area, with a higher ratio corresponding to denser development. The model derives estimates and projections of these components and variables for each of several residential, commercial, and industrial land uses. The land requirements for each use were then combined to determine a total urban land use projection for each of the nine market areas. The City of Gainesville is approximately 83% built-out (Table 1). Much of the existing development is low density and low intensity. Redevelopment and infill development, compatible with the character of individual neighborhoods, are needed. Most of the areas shown for redevelopment are related to the proposed Central City Special Transportation Area. It is intended that redevelopment of these areas will contribute to an interactive activity center which lessens the need for vehicular trips by allowing an appropriate rmix of residential and non-residential uses accessible by foot, bicycle and bus. Map 16 shows the proposed redevelopment areas of the city and areas where housing rehabilitation activities will occur. The redevelopment areas included: Downtown Gainesville (Planning District 1), the Enterprise Zone, historic districts, housing rehabilitation areas and areas designated as a pocket of poverty. Neighborhoods north, east and south of the University have a large percentage of student residents, but do not accommodate a large enough share of student housing. It is especially desirable to accommodate student housing close to the University to reduce the transportation demand that student housing in outlying areas places on the City and the University. As stated earlier, students at the University of Florida are currently included in the City's population figures. As new students enroll in the University dormitories, existing students must move out. These are the students that should continue to be housed near the University. Over time, this will have the effect of reducing peak hour traffic problems and help to revitalize downtown. This would also provide the density that is needed to support the Mass Transit System. A larger residential population near the University would also be a prime catalyst in revitalizing the downtown. Older neighborhoods close to the downtown continue to include deteriorated dwellings and underutilized parcels although new housing has been built in the Porters neighborhood. The City continues its efforts to attract employers to the downtown and nearby industrial areas which are centrally located and accessible by mass transit. Another primary target for redevelopment is the North 13th Street Activity Center (N.W. 13th Street and N.W. 23rd Avenue) The large amount of vacant commercial property in this area detracts from its desirability as the prime retail and office area serving many northwest neighborhoods. Recent investment in the area, Sam's Wholesale Club and Kash and Karry, indicate both that this activity center is well located to serve community needs and that redevelopment of the area can satisfy community shopping needs generated by the large amount of residential development surrounding the activity center. The redevelopment areas contain a mix of land uses; commercial, office, residential and industrial uses. The Enterprise Zone encompasses most of the redevelopment areas. In order for an area to be designated as a State Enterprise Zone, it must exhibit the characteristics described in Section 290.0004(l)(a), F.S. Those characteristics include areas that show physical signs of deterioration and dilapidation which endanger life and property and the health and welfare of the community, among other things. The redevelopment areas also include areas containing valuable historical resources that must be preserved and maintained and areas where the sense of neighborhood is threatened by substandard housing conditions. open space buffers between high density and low density development. Density bonuses to achieve the maximum density are only given to those projects that can demonstrated that the development will be compatible. Compatibility can also be achieved through performance standards, the demand for a total separation of different uses is based on somewhat outdated euclidean zoning process. An important consideration for infill and redevelopment is infr-astructure capacity. The projected design capacity of the Potable Water and Sanitary Sewer Element is sufficient to accommodate higher densities The current Mass Transit System can accommodate 15,925 person trips at full capacity, existing demand is approximately 5,000 person trips. (page 4 Mass Transit Element). The existing infrastructure can accommodate the increase in residential density which is needed to support the Transit System. As explained in the Traffic Circulation Element, an increase in density near traffic generators is actually expected to improve the level of service on other transportation facilities. Development within the areas to be designated for higher densities will not contribute to stormwater problems. As redevelopment occurs existing problems will be eliminated because new development will have to meet the LOS Standards adopted in the Stormwater Element. Because many of these areas were developed prior to any water quantity or quality standards, redevelopment can only improve on the present situation. aid in the revitalization and redevelopment effort, and upgrade development quality. Identify potential sources of money for the implementation of the plan. Devise an appropriate neighborhood strategy for revitalization. of buildings (I, HI and Ill)that would be compatible with the neighborhood and surrounding areas. The Type I building would provide retail; office and residential uses within four story buildings adjacent to University Avenue and N.W. 13th Street. Retail uses would be restricted to the first 2 floors, office on all four floors and residential on floors 2 through 4. Type I buildings and uses should only be allowed in the areas designated MU-L (see Figure 3 ) The Type HI building would allow office and residential uses within a 3.5 story building with limited office uses allowed on the first floor, residential use would be allowed on all floors. The Type HI building and uses would be located in the core of the neighborhood but not adjacent to single family areas. Type 11 buildings and uses should only be allowed in the areas designated for MU-R. The Type III building would allow residential uses within a 2.5 story building. The Type III building buffers the higher intensity Type I and Type HI buildings from single family areas. Type III buildings and uses should be allowed in the areas designated R-M (Residential Medium Density (8 -30 units per acre). Once the Master Plan for the College Park Neighborhood is completed the Comprehensive Plan should be amended if the building types and uses recommended in the master plan would be inconsistent with the adopted building types and uses. Uses identified as being inconsistent with the community's character can be categorized as nonconforming uses. These are uses of buildings or lands other than uses specifically permitted in the zoning districts in which such buildings or lands are located, provided such uses were at one time legal and have not been discontinued for more than (9) consecutive months. There are approximately 185 residential parcels with residential nonconforming uses. It is estimated that about 100 commercial, office or industrial parcel may be located within residential districts where they are prohibited. Many of these nonconforming uses have existed for almost a decade (since the last city-wide rezoning). This indicates that these uses may actually be healthy and compatible with the surrounding area. Further study of nonconforming uses is needed to determine which uses are not appropriate and therefore should continue to stay nonconforming and whether uses which are thriving should be allowed to become a conforming use. The future land use plan through its policies should seek to eliminate incompatible land uses that pose a threat to public safety and welfare. In the City of Gainesville most of the floodplain areas are not suitable for developmenL Floodplains in the city are closely associated with the creek system. City ordinances currently restrict devlopment in flood channels, floodplains and along regulated creeks. Map 17 shows those areas of the city that where designated as Open Space on the land use map of the City's 1980 2000 Comprehensive Plan. The land which is designated open space closely corresponds with areas designated as the 100-year floodplain (see Map 4). The significance of floodplains to development in the city is discussed in the Stormwater Management (Drainage) Data and Analysis Report. The State mandate to update local comprehensive plans places the responsibility on the City to develop a Future Land Use Plan that will guide development and accommodate expected growth trends without reducing service levels below adopted standards. To meet this challenge, the City must develop a growth management framework for the future which will become the foundation for the Land Use Plan. The framework for this Plan will be the multi-center approach. The goals of this concept are to maintain Gainesville's low density character and guide higher density development into concentrated centers. Existing low density areas and vacant areas are buffered from intensive commercial areas, although some low density areas adjacent to more intense activities may be converted to higher densities. destroying the character of existing neighborhoods. allowing for the expansion of the city's greenway network. 1980, Alachua County, July 1990. This land use category shall allow single family detached dwellings at densities up to eight dwelling units per acre. The single family land use classification identifies those areas within the City that due to topography, soil conditions, surrounding land uses and development patterns, are appropriate for single family development. Land Development Regulations shall determine the performance measures and gradations of density. Land Development Regulations shall specify criteria for the siting of low intensity residential facilities to accommodate special need populations and appropriate community level institutional facilities such as places of religious assembly, private schools and libraries. Land Development Regulations shall allow Home Occupations and accessory units in conjunction with single-family dwellings under certain limitations. This land use category shall allow dwellings accommodating up to four families at densities up to 12 units per acre. The Residential Low Density land use classification identifies those areas within the City of Gainesville that, due to topography, soil conditions, surrounding land uses and development patterns, are appropriate for single family development, particularly the conservation of existing traditional low-density neighborhoods, single-family attached and zero-lot line development, and small scale multi-family development. Land Development Regulations shall determine gradations of density, specific uses and performance measures. Land Development Regulations shall specify criteria for the siting of low intensity residential facilities to accommodate special need populations and appropriate community level institutional facilities such as places of religious assembly, private schools and libraries. Land Development Regulations shall allow Home Occupations; accessory units in conjunction with single-family dwellings; and bed-and- breakfast establishments within certain limitations. This land use classification shall allow single-family and multi-family development at densities from 8 to 30 dwelling units per acre. The land shown as Residential Medium Density on the land use plan identifies those areas within the City of Gainesville that, due to topography, soil conditions, surrounding land uses and development patterns, are appropriate for single-family and medium intensity multifamily development. Land Development Regulations shall determine gradations of density and specific uses. Land Development Regulations shall specify criteria for the siting of appropriate medium intensity residential facilities to accommodate special need populations and appropriate community level institutional facilities such as places of religious assembly, private schools and libraries. Land Development Regulations shall allow Home Occupations within certain limitations. for high intensity multi-family development and secondary retail and office uses at scaled to serve the immediate neighborhood. The intensity of secondary retail and office use cannot exceed more than 20% of the residential floor area. Land Development Regulations shall determine gradations of density, specific uses, percentage of floor area and maximum floor area appropriate for secondary uses. Land Development Regulations shall specify the criteria for the siting of high intensity residential facilities to accommodate special need populations and appropriate community level institutional facilities such as places of religious assembly, private schools and libraries. Land development regulations shall allow Home Occupations within certain limitations. This residential district provides for a mixture of residential and office uses. Off-ice uses that are complementary to and secondary to the residential character of the district may be allowed. An essential component of the district is orientation of structures to the street and the pedestrian character of the area. Office uses located within this district should be scaled to serve the immediate neighborhood and pedestrians from surrounding neighborhoods and institutions. Land Development Regulations shall set the district size; appropriate densities (up to 75 dwelling units per acre); the distribution of uses; appropriate floor area ratios; design criteria; landscaping, pedestrian, mass transit and bicycle access, and street lighting. Land Development Regulations shall specify the criteria for the siting of public and private schools, places of religious assembly and community facilities within this category when designed in a manner compatible with the adoption of a Special Area Plan for that area- 'Me intensity of office use can not exceed more than 1 No of the total residential floor area per development. This category includes a mixture of residential, office and retail uses scaled to serve the needs of the surrounding neighborhood. This category has been applied to commercial development to enhance the flexibility of these low intensity areas. It is not expected that these areas shall be expanded significantly during this planning period; creation of strip development is not intended. Public and private schools, places of religious assembly and community facilities shall be appropriate in this category. Residential development from 8 to 30 units per acre shall be permitted. Land Development Regulations shall ensure the compact, pedestrian character of these areas; provide guidelines for the compatibility of permitted uses; and ensure that such areas do not serve overlapping market areas of other designated low activity centers. Floor area ratios in this district shall range between 1.00 2.00.
the compatibility of permitted uses; and ensure that such areas do not serve overlapping market areas of other designated medium intensity activity centers. Residential development from 14 to 40 units per acre shall be permitted. Floor area ratios in this district shall range between 1.00 2.00. 71is category includes a mixture of residential, office, business uses and light industrial uses concentrated in mapped areas. Public and private schools, institutions of higher leading, places of religious assembly and community facilities shall be appropriate in this category. Such development shall function as an activity center serving the urban area. When in accord with all other land use regulations, residential densities up to 150 units shall be permitted. Land Development Regulations shall be prepared to ensure the compact, pedestrian character of these areas. Floor area ratios in this district shall not exceed 10.00. The office land use category identifies areas appropriate for office and residential uses. This category is intended to identify appropriate areas for professional and service uses, hospital and medical uses, compound and residential uses, and appropriate ancillary uses. Office designations shall be applied to compact office development; office designations shall not encroach in viable residential areas nor expand strip development. Residential uses in office districts shall be designed as infill, mixed use, compound use or shall accommodate existing residential development within the district. Densities shall not exceed twenty (20) units per acre. Land Development Regulations shall determine the appropriate scale of uses; and the specific criteria for the siting of private schools and churches. Floor area ratios in this district shall range between 0.50 2.00. The commercial land use category identifies those areas most appropriate for large scale and highway-oriented commercial uses. Land Development Regulations shall determine the appropriate scale of uses. This category is not appropriate for activity centers. Floor area ratios in this district shall range between 0.50 2.00. The industrial land use category identifies those areas appropriate for manufacturing, fabricating, distribution, extraction, wholesaling, warehousing, recycling and other ancillary uses. Land Development Regulations shall determine the appropriate scale of uses and consider the externalities of such uses. Intensity of use shall not exceed a maximum lot coverage of 80%. This category identifies appropriate areas for public and private schools and institutions of higher learning when located outside of activity centers. Land Development Regulations shall address compatibility with surrounding uses and infrastructure needs. Floor area ratios in this district shall not exceed 5.00. This category identifies appropriate areas for public and private leisure activities. Land Development Regulations shall address the scale, intensity and buffering of structures and outdoor improvements. This category shall meet the appropriate intensities of use as established by the Park Design and Function Standards adopted in the Recreation Element. This category identifies areas environmentally unsuited to urban development, permanent buffers between land uses, areas used for passive recreation and nature parks. Privately held properties within this category shall be allowed to develop at single family densities of one unit per five acres. Land Development Regulations shall deterrytine the appropriate scale of activities, structures and infrastructure that will be allowed. This category identifies existing lands which are expected to continue in agricultural production and ancillary uses. Land Development Regulations shall allow single family densities of one unit per five acres. It is not expected that lands designated for urban uses will be converted to agricultural production. This category identifies administrative and operational governmental functions such as government offices, utility facilities and storage facilities. Maximum lot coverage in this district shall not exceed 80%. This category is an overlay land use district which may be applied on any specific property in the City. The land use regulations pertaining to this overlay district shall be adopted by ordinance in conjunction with an amendment to the Future Land Use Map of this comprehensive plan. The category is created to allow the consideration of unique, innovative or narrowly construed land use proposals that because of the specificity of the land use regulations can be found to be compatible with the character of the surrounding land uses and environmental conditions of the subject land. Each adopting PUD overlay land use designation shall address density and intensity, permitted uses, traffic access and trip generation, environmental features and buffering of adjacent uses. Planned Development zoning shall be required to implement any specific development plan. In the event that the overlay district has been applied to a site and no planned development zoning has found approval by action of the City Commission within one year of the land use designation, the overlay land use district shall be deemed null and void and the overlay land use category shall be removed from the Future Land Use Map, leaving the original and underlying land use in place. The procedure for the delineation of urban reserve and annexation areas is established by the 1990 Alachua County Boundary Adjustment Act. The City of Gainesville and Alachua County have historically been unable to agree on annexation. In 1990 the Florida Legislature passed a special act which sets forth procedures for establishing municipal reserve areas, adjusting the boundaries of municipalities through annexation and contraction. The Boundary Adjustment Act replaces former coordinating mechanisms by prescribing a schedule for the establishment of reserve areas and procedures for annexation that do not require joint action on the part of the City or County once the Reserve Area is established. The act also precludes annexation by general law. This method of coordination begin in January 1991, when the County scheduled a public hearing on the designation of Reserve Areas. On October 15, 1991 the Alachua County Board of County Commirssioners approved the Urban Reserve Area for Gainesville (See Map 20). Now annexation can occur within this area by enactment of an ordinance by the annexing municipality, (subject to referendum if petitioned by 20% or more of the affected electors). The Comprehensive Plan will be amended when areas are annexed. The Existing Land Use Map was constructed by matching the City of Gainesville's zoning categories with the existing land use categories specified in 9J-5.006. Some zoning categories contain a mix of uses that cannot be applied exclusively to one existing use category. Under those circumstances, existing use was determined on a parcel-by-parcel basis using DOR codes, aerial photos, field surveys, and various address and business directories. This appendix lists the definitions and zoning breakdowns for each existing land use category. All residential lands with densities between 1 unit/5 acres and 9 units/acre were defined as "Residential/Low Density." Also included in this category were any foster family homes, day care homes, and churches located in low density neighborhoods. All properties with the following zoning designations met the definition of "Residential/Low Density." Densities listed represent the maximum range permitted in the district. The following zoning categories contain a mix of uses including residential. DOR codes were used to identify parcels that met the definition of "Residential/Low Density." All residential lands with densities greater than or equal to 10 units/acre were defined as "Residential/High Density." Also included in this category were any foster family homes, day care homes, child care centers, churches, social service homes, and personal care facilities located in high density residential neighborhoods. All properties with the following zoning designations met the definition of "Residential/High Density." Densities listed represent the maximum range permitted in the district. The following zoning categories contain a mix of uses including residential. DOR codes were used to identify parcels that met the definition of "Residential/High Density." All properties with the following zoning designations met the definition of "Office." The following zoning categories contain a mix of uses including office. DOR codes were used to identify parcels that met the definition of "Office." The "Commercial" category consists of medium intensity business uses. These uses primarily include retail sales, repair services, and shopping centers. All properties with the following zoning designations met the definition of "Commercial." The following zoning categories contain a mix of uses including commercial. DOR codes were used to identify parcels that met the definition of "Commercial." The "Industrial" category consists of high intensity business uses. These uses primarily include warehousing, wholesaling, and industrial uses. All properties with the following zoning designations met the definition of "Industrial." All educational uses were defined as "Education." This included the University of Florida, other public schools, and any private schools with elementary or higher level coursework. All properties zoned "E" (Educational services district) less any land involved in recreation use met the definition of "Education." DOR codes were used to identify private schools within other zoning districts. Recreation uses can be found in all zoning districts. DOR codes and the City of Gainesville's Recreation Inventory were used to identify parcels that met the definition of "Recreation." All public services that were not included in other existing land use categories were defined as "Public Service." This includes government offices, airports, public hospitals, police and fire services, and utilities. This excludes education uses, conservation uses, and recreation uses. The following zoning categories contain a mix of uses including public service. DOR codes were used to identify parcels that met the definition of "Public Service." All conservation uses were defined as "Conservation." This included open space buffers and public and private parks without active recreation facilities. The following zoning categories contain a mix of uses including conservation. DOR codes were used to identify parcels that met the definition of "Conservation." All properties zoned "A" (Agriculture district) less any residential uses. All areas containing a dense mixture of residential, office, commercial, and municipal uses were defined as "Mixed Use." All properties with the following zoning designations met the definition of "Mixed Use." Unimproved land is found in all zoning districts. Only properties or groups of properties that were greater than or equal to three acres were shown on Map 1. All unimproved land, regardless of parcel size, was included in the acreage totals shown on Table 1. This overlay identifies al hospitals, including public, private, and teaching hospitals. This overlay identifies the hazardous waste site designated for cleanup under federal S uperfund legislation. All existing land use categories and definitions used for the surrounding urban area match those listed for the City of Gainesville. Because City zoning does not apply to the urban area, an alternative method for determining existing use was required. For this purpose, DOR codes were identified for each parcel and then matched with the appropriate existing land use category. Additional input was provided by aerial photographs and comments from the Alachua County Planning Staff. .. 1 11 11 ..
For NOrh Cor nlral Florida R gional Pla[ining (,ounci 9. .. L1 .... K4 A L .
. lori..a G.olo.cat ..urv y 91..
23 Sweetwater Branch ( Main Si. -. i i i ,, .i., ,., .. ..,, N.
.. .. . 6. 1 -J I,. .
F. ~~~~O 1 3,1 we"- 11( flnt (f --t .- a 1 .p) -'-w9* 0 ,,1A 1 (00) &,g 0.3." Note: 7 UF Nuclear Science Cir. - Water Basin Boundary Line Soils with "Severe"